Well, we all love french fries. From the announcement to McDonald’s offering all you can eat fries to a french fry fork, we can’t get enough! But that joy those greasy potatoes give us may have to come to an end. According to a study in the American Journal of Clinical Nutrition, french fries could be bad for your health in seriously scary ways. The study found that people who ate french fries more than twice a week were at a higher risk of death. That’s right, our favorite tasty treat may be linked to our demise. Upsetting right? Well, don’t worry. There’s still a lot of the study that isn’t known to us all! Don’t shun your french fries yet. As Teen Vogue puts it, the study doesn’t give us an idea of the health of those being tested prior to the study. So whether these individuals were in great health or already unhealthy and eating fries more than twice a week is still unknown. But on the safe side, maybe start taking your potato intake a bit more seriously. 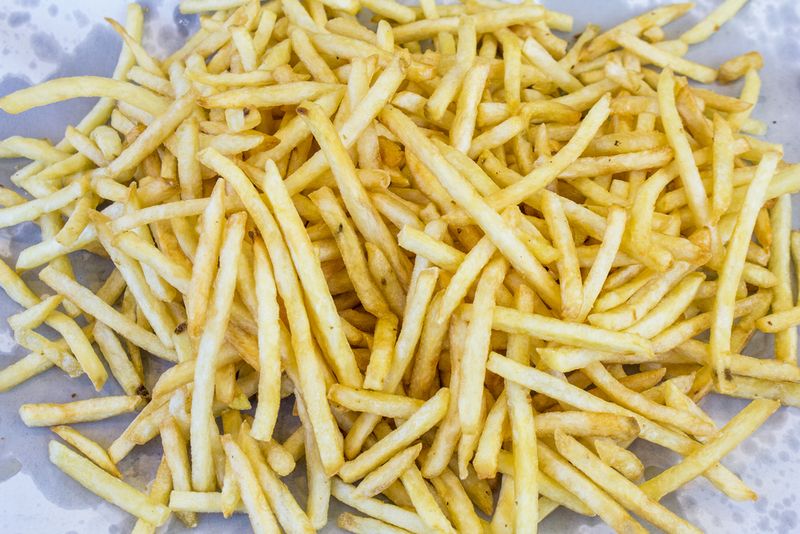 We might love our french fries more than anything else, but is the health risk worth it? To many, yes. But until we know more about the risk, maybe just limit yourself to once a week! Like all good things, moderation is key. Don’t worry, all of us are a little upset by the idea of no french fries. We get it. There are still health benefits from eating potatoes that have not been fried. So maybe instead of eating french fries for every meal, switch it up. Enjoy some mashed potatoes or baked potatoes! Whatever it is, just maybe try not to eat fries for more than two meals a week to be on the safe side. So take a deep breath, put down your fries and remember that until we know more, we might have to limit our french fry intake. If you’re sad about not eating fries, at least you know you’re in good company! Who doesn’t love a good side dish of fries?